How much time do I have to source? When was the last time I checked out the clearance section? Am I running low on any of my replens? Which product lines does this store carry that are selling well on Amazon? Are there currently any seasonal selling opportunities? Any good promotions or sales going on right now? Am I looking for full retail products to resell? Or should I focusing on sale/clearance items? You get the idea. More importantly based on your responses you’ll have an idea about where you should be directing your efforts. This also provides you with the chance to do some homework beforehand so when you reach the store you can dive right into it head first. One the hardest things about starting out is the lack of information. At the beginning you have no idea what kinds of items are profitable so you have no other option than to scan everything. As you start to find profitable items you should develop a system to keep track of those items. Before you go to the store you can check the Amazons listings for the items on your watch list and find out whether any of them are still profitable. That way you don’t have to spend the time scanning every single one of them in store. When you find a profitable item at one Target there is a good chance that same item can be found at other Targets. Or maybe Walmart carries the same item as Target. Information is power so use it to your advantage. Don’t fool yourself into thinking you will remember everything. Once your business scales it becomes very difficult to remember all the details. Build good habits and processes early and it will payoff tenfold in the future. Sometimes people forget about stacking when they are shopping in store. If you learn to use things like loyalty programs, coupons, discounted gift cards, and manager authorized discounts (my personal favorite) you will have a huge advantage when it comes to selling on Amazon. Some stores mark items down on certain days of the week or at specific times of the month. Can you plan your RA trips around these schedules? Sometimes store have coupons which offer in store only savings. Can you get your hands on one or more? There are plenty of sellers who don’t take the time to think about these extra steps. When you do you will reduce your buy costs and increase your margins. Not to mention if you find yourself in a price war you have more room to work with than the seller who bought at regular retail price. Store pickup represents an opportunity to both save time and make money. That’s a scarcity in the business world and definitely worth exploring further. You can save time in two different ways. First store pickup items are purchased online which means they can be sourced from anywhere at anytime. When you are sourcing online you can leverage tools like OAXray to evaluate hundreds on products simultaneously vs. scanning each of them individually. Second store employees do the work by finding the items. All you have to come into the store and pick them up. Next let’s get into the money side of the equation. 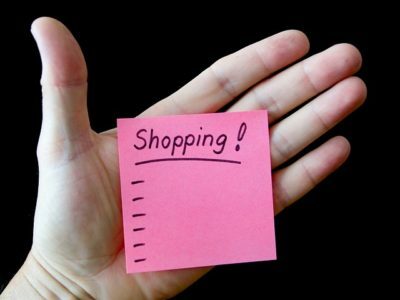 Remember store pickup items are purchased online and anytime you are making online purchases you should be looking for stacking opportunities. For more details about stacking check out our Online Arbitrage Stacking Tutorial. The funny thing is that when you do this you purchase the same items you would have bought in store anyways at a discounted price that in many cases would have been impossible to reach without stacking. 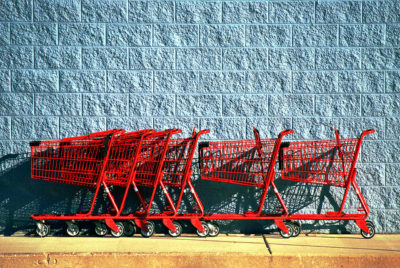 You can’t guarantee that every trip you will walk out with shopping carts full of product. But if you use these strategies you shouldn’t be walking out of any stores empty handed. This entry was posted in Fulfillment by Amazon (FBA), Retail Arbitrage and tagged FBA, Fulfillment by Amazon, RA, Retail Arbitrage. Bookmark the permalink.